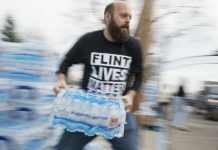 LANSING, Mich., Jan. 29 (UPI) — Email communications made public on Friday reveal that state workers in Flint, Michigan were taking delivery on coolers of purified water in January 2015 at the same time officials were denying any problems with the city’s water supply. The series of emails mention concern over poor water quality in Flint and also contain a notification about the delivery of the water coolers from the Department of Technology, Management and Budget. “While the city of Flint states that corrective actions are not necessary, DTMB is in the process of providing a water cooler on each occupied floor, positioned near the water fountain, so you can choose which water to drink,” one email read. DTMB spokesperson Caleb Buhs told the Detroit Free Press the coolers had not been removed from the state building since being delivered on Jan. 7, 2015, as the contamination issues continued. He also said that officials were never told the tap water was unsafe, but were simply provided an alternative water source. 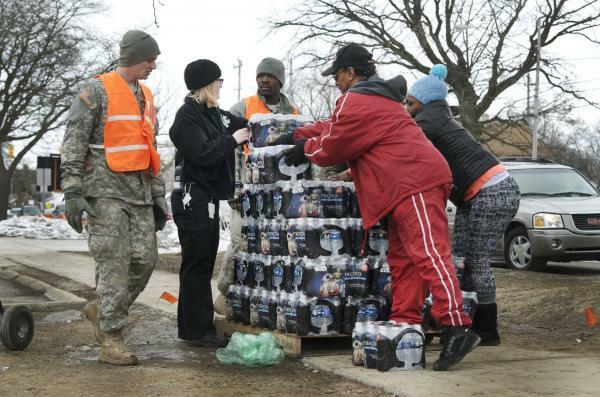 The coolers were installed more than a year before President Barack Obama signed an emergency declaration to provide water filters, test kits, and other necessary items to the people of Michigan. Gov. Rick Snyder has come under fire for his slow response to the crisis from the public, as well as executive director of Progress Michigan, Lonnie Scott. “It appears the state wasn’t as slow as we first thought in responding to the Flint water crisis. Sadly, the only response was to protect the Snyder administration from future liability and not to protect the children of Flint from lead poisoning,” Scott said in a statement. On Friday, a group of doctors in Flint suggested there may be as many as 8,000 children who were exposed to lead contaminated water and may have suffered irreversible damage to their developing brains and nervous systems.